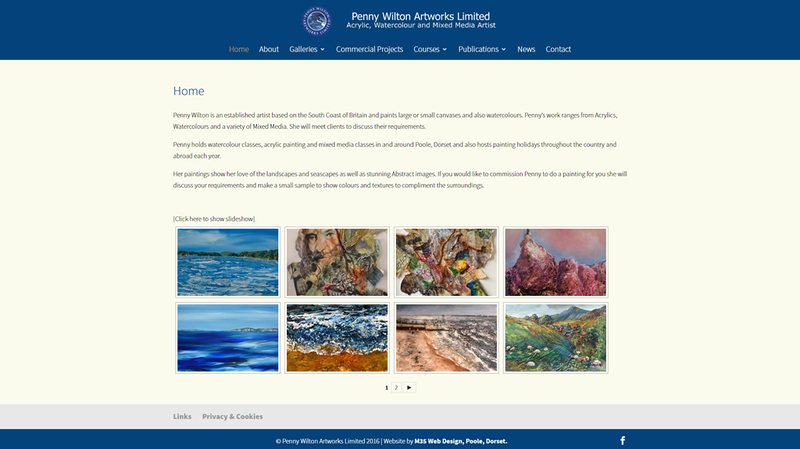 Penny Wilton Artworks Limited is the website of Penny Wilton, a local artist and art teacher based in Poole, Dorset. Penny already had a website, but it was several years old and was starting to look ‘tired.’ After a discussion with Penny, M35 Web Design created her new web site, built using WordPress, which was up and running within a few weeks. Google Analytics gives Penny visitor tracking information, as well as details of search engine and website referrals to her site. Due to being a very busy lady, Penny sends us regular website updates and we put them on the site for her.